The Union of Moscow architects invites professionals to participate in The Open Architectural and Town-planning Competition “The Activation of the Kazan City Urban Functions in the Water Area of the Volga Bend”. The Competition is arranged to get a conceptual, structural and functional spatial organization of the territory in the water area of the Volga bend. The new spaces should include a developed recreational component and be rich of public, tourist and cultural-sports functions. The prize fund is 600,000 Ruble (almost $10,000), of which 300,000 Ruble are reserved for the First prize. The awarded designs will be published in mass-media, which act as information partners of the “Eco-Shore 2018” Festival. Kazan is a large city in the Volga region with a picturesque landscape and a rich variety of coastal zones. The embankment in a complex with a river facade forms the river gate to the city. However, inefficient use in combination with various unfavourable factors leads to the isolation of the coastal zones from the city itself and turns them – instead of being potential points of attraction – into desolate spaces with an unfavourable environment. The Locomotive Peninsula was formed as a result of land flooding by the waters of the artificial Kuibyshev Reservoir in 1957. To protect the city, the dams were built. A pedestrian embankment was arranged together with the places for a mass recreation of the population. Over the years, the territory has fallen into decay and lost its attractiveness because of the isolation produced by railways. Today its use is limited. The Competition is held within the framework of the International Festival “Eco-Shore”. It is organized by the Union of Moscow Architects and the Union of Architects of the Republic of Tatarstan. The event is supported by the Cabinet of Ministers of the Republic of Tatarstan, the Administration of Kazan and the Committee for Architecture and Urban Planning of Moscow. 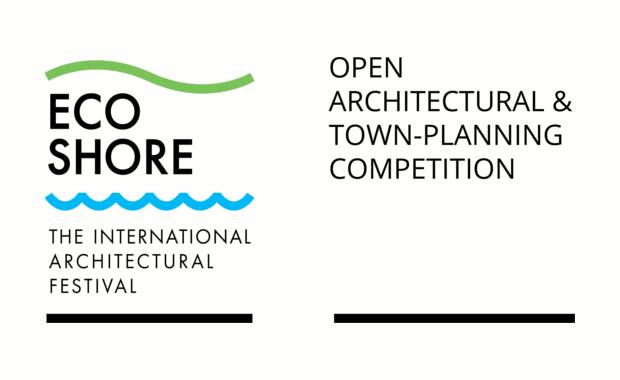 The “Eco-Shore” Festival is a unique international annual project devoted to the innovative ideas of the urban, architecture and design development of coastal areas. The registration fee is 80 Euro for one project submission.